Rose and Her Lily: Lily's Stone! 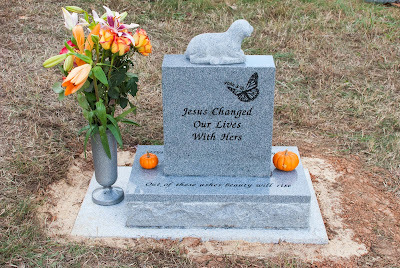 Ever since Lily went Home to be with Jesus over 3 1/2 years ago, I have wanted to get her memorial stone. 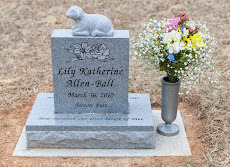 With Lily buried in Virginia and me living in North Carolina, it was really tough when I got to visit her "special spot" as I call it, for her to not have a permanent stone. I would decorate it with temporary markers and decorations, but it's just not the same. It felt like she was being neglected to not have her stone. Getting this stone is very important to me. Having a beautiful memorial stone is a way to honor her life and prove to the world SHE WAS REAL AND IMPORTANT AND I LOVE HER! Getting this stone is pro-life. 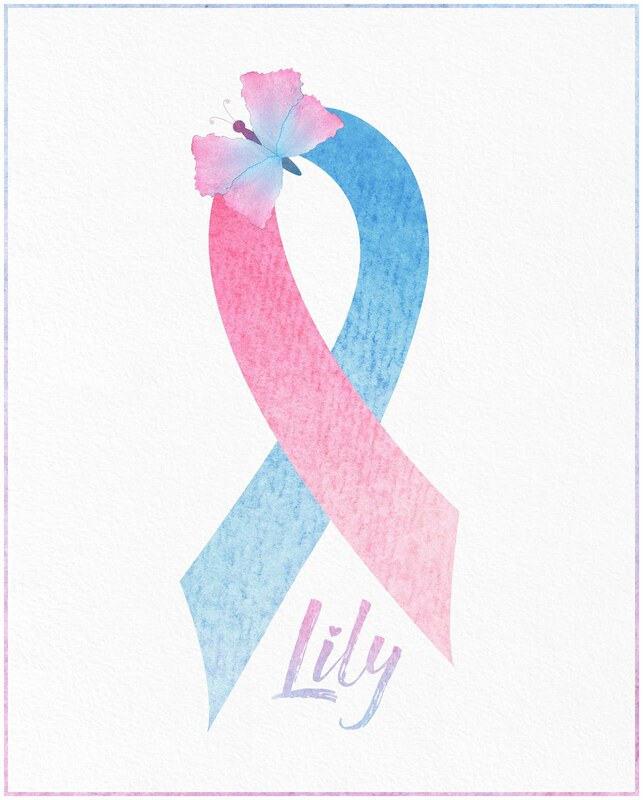 I think getting Lily a headstone is a testimony to the sanctity of LIFE and proof that unborn babies are precious, valuable and irreplaceable. Once I started trying to look for a monument company to work with, it wasn't easy to find a place with a good reputation and high-quality craftsmanship. I have obviously never had to do something like this before and felt clueless about how the process works. It was extremely difficult to be in my 20's, headstone "shopping" for my daughter. I knew what I wanted and didn't want to settle. I am so thankful I didn't. 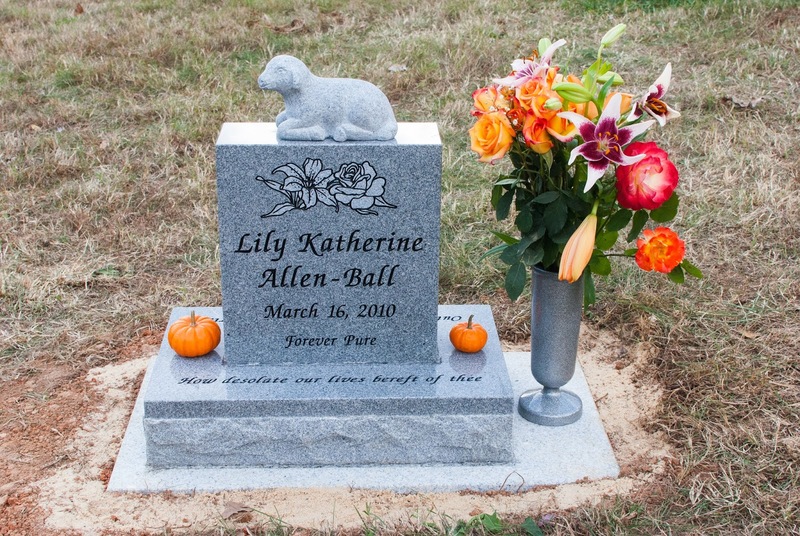 I am so thankful the Lord led me to an amazing monument company that helped me develop my dream for Lily's stone. They've truly made it more perfect than I could have imagined. They kept working until I was completely satisfied. And this was all long-distance because I couldn't find a monument company to work with near where Lily is buried. The company I found is in Seattle, Washington, so this whole process has been through many, many phone calls, emails, drafts, revisions, etc. I have tried to enjoy the process because this is one of the last things I can ever do for Lily. Yes, I will continue to honor her by speaking and writing and sharing her story. I will continue to get memorial keepsakes. 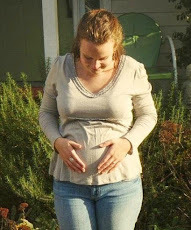 However, this is one of the few and last things I can do as a mother, truly for Lily. It's so final. It feels like a dream since I've waited so long and wanted it so long. Even though it's been really hard to wait, I must say I am thankful I did. I have had so much time to research and think about what I want. If I rushed into it right after she died, I may have made my choices for her stone too hastily. And because this stone will be hers forever, it needs to be perfect. It's so hard to decide what you want permanently etched in stone... what a big decision. How do you know you'll choose something you'll be pleased with forever? During all my dreaming and planning, I thought of sooo many things I would have loved to incorporate. However, there is only so much space so I knew I had to choose the most important, special, and meaningful things. It is hard to fit someone's entire life and legacy into a few short words on a small headstone. 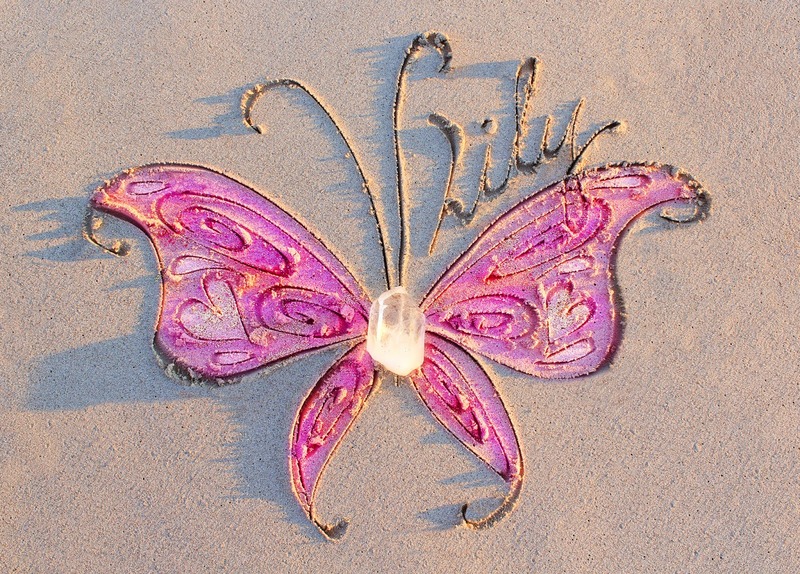 What helped me decide was by asking myself, what story of Lily's LIFE and legacy do I want to tell with her stone? What do I want friends, family, and passersby at the cemetery to see? What words and designs can possibly capture all she means to me? What will I love forever? This past weekend, on Saturday, November 2nd, we finally installed Lily's stone at her spot. We had a special stone placement ceremony that afternoon. I will be sharing about that later. But, for now, I want to share photos of Lily's stone and the meaning behind it. Literally every single thing I've chosen to be a part of Lily's stone has significance. Here it is!! The Foundation that the stone and vase is on is a bit larger. For the granite, I chose China Grey. I knew I wanted it to be light-colored, rather than dark because I just prefer the way it looks, especially for a baby's stone. I wanted the font to look simple, pretty, and easy to read. I went and visited local cemeteries many times to try to get an idea of what I wanted. From the beginning, I was so drawn to the little infant stones with lambs sitting on top. They seem "babyish." I want people to see the stone and know it is for a little child. This is the most common Victorian marker for a child's stone. Yet, they aren't so common anymore, which I'm glad about. I want Lily's stone to be "old-fashioned," rather than modern. I want it to be timeless. Because this design is not common these days, it was very hard to find the exact type of lamb I want. All lambs are not the same. Some are really cheesy looking and some don't even look like lambs. I wanted Lily's to be perfect and couldn't find any online that I actually liked. That's when I knew I'd have to find a monument company that could custom make it for me. Thankfully I did! They made the lamb twice because the first time I didn't like it. I actually found a stone that's about 100 years old at a large cemetery in Raleigh with a lamb on top that I love. I measured it and used those exact measurements to send to the monument company. And I took photos of that lamb because they needed an example of what I wanted and liked. I also like lambs because of my Aunt Rachel Ross who is buried next to Lily. Her name, Rachel, means "little lamb" and her stone has a lamb on it. I wanted a rose and lily because they symbolize Lily and I - Hannah Rose and Lily Katherine. The name of my blog is "Rose and Her Lily" and I use the two flowers together for many special things. The rose and lily are beautifully intertwined, as a symbol of how Lily was with me her entire life on earth and how I will carry her legacy with me the rest of my life on earth! I love that the rose and lily are blooming together, as a sweet reminder that we will bloom together for all Eternity in the presence of Jesus. The rose symbolizes motherhood and beauty. Lily will forever be my first-born baby. I will forever be her mother. She was so beautiful and her lasting legacy is beautiful beyond description. The rose also symbolizes hope and unfailing love and indicates sorrow. 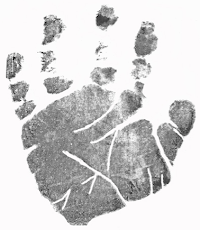 It is a common symbol of eternal life and resurrection. Seriously, how perfect is this? Of course, Lily's full name and birthday are on the stone. I just love seeing her beautiful name on the stone... though of course, I wish I was seeing her learning to write her own name, rather than on a headstone. It just sounds weird to say that, but I love her name so much. I love seeing it, saying it, and hearing it. I chose "Forever Pure" because like I said, both Lily and Katherine mean pure and innocent. Lily will never be marred with sin and pain and the corruption of this world. What a gift that is for my heart to know. I feel this simple phrase so beautifully and perfectly articulates who Lily is, as well as her legacy. She is also a symbol of my renewed purity and redemption in Jesus Christ. The back has a butterfly, which are very symbolic and special to me as well. Butterflies symbolize new LIFE in Christ. 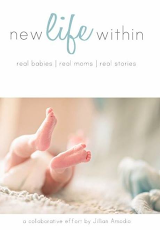 Lily was new LIFE and God used her LIFE to bring me to new LIFE in Him. And because of His sacrifice on the Cross, we will have eternal LIFE with Him. Lily is already living her new LIFE with Jesus right now. I love how the butterfly looks like it's landing on the stone. It has the Scripture John 3:16 above it, which says, "For God so loved the world, that He gave His only Son, that whoever believes in Him should not perish but have Eternal LIFE." God spoke His promise of eternal life, redemption, and the love and mercy of Christ in this Scripture verse. Lily's life is a picture of this. And her birthday is March 16. 3:16 like John 3:16. Butterflies also symbolize short-life. Lily lived a brief, but brilliant life. She is the quiet, gentle, and peaceful picture of new LIFE leaving the cocoon, taking flight to Heaven. 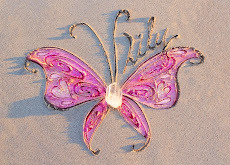 I thought that incorporating a butterfly would be a sweet way to include Luke Shiloh in Lily's stone as well. 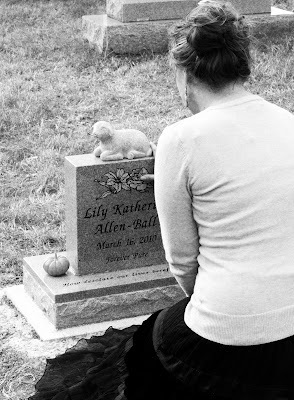 On the back, Lily's stone says, "Jesus Changed Our Lives With Hers." I think that perfectly shows what God sent her to earth for. I thought a lot about what Scripture, quote, saying, etc. I wanted to be written on the back and settled on this. I thought it was special that it's something I came up with specifically for Lily. And if anything captures her legacy in just a few short words, it's this. Lily changed my life. She changed the lives of those who love her. And she continues to change lives with my writing and speaking across the country. There were a couple other phrases that I wanted to include on Lily's stone, but didn't think I would be able to because of space. However, when the monument company told me I could have things written on the top of the base, I knew exactly what I wanted to be written. On the front it says, "How desolate our lives bereft of thee." When I was looking in a cemetery in South Carolina for ideas with my brother and sister-in-law, I saw infant gravestones that said this, only with the word "home" instead of "lives." Right when I saw it, tears came to my eyes and my heart ached in understanding and knowing. I was so touched by this phrase and it was always one I had in the back of my mind as a possibility to be included on Lily's stone. I wanted Lily's stone to show the bittersweet reality of losing her. Our entire lives have been changed for the better, yet we also miss her more than words could ever say. We know we will be with her again one day and rest in that hope and assurance, however it doesn't change the missing piece of our earthly lives. It is terribly bittersweet to live life without Lily each and every day. We miss her here and now and there is an aching and longing that could never be put into words. But, we have the hope of Heaven. On the back, it says, "Out of these ashes beauty will rise." These are lyrics from one of my favorite songs, by Steven Curtis Chapman. It is off his CD that he made after he lost his own daughter. My Aunt Helen gave me this CD for Mother's Day in 2010, just a couple months after I lost Lily. It has been a huge part of my grief and healing. I can't count the number of times I would turn it up so loud, and sing at the top of my lungs, with tears streaming down my cheeks. I feel like this song so perfectly articulates my testimony, of my abortion and turning from God, my unplanned pregnancies, losing Lily, and God bringing me back to Himself and working all this together for my good and His glory. Placing Lily's stone was bittersweet. I am sad that everything that's gone into it, all the love I've poured into it, is finished. I am proud to say I designed it myself. But, as I've searched for the different meanings of each thing I chose, I realize that it was not only me who designed it. God's hand was on it... it is amazing to see Him in the small things. Just as He gave me her name, He helped me with this stone. As I was choosing the different things I wanted on it, I had no idea how beautiful every element would turn out to be. I was a little nervous that I would regret something I chose or that I wouldn't be fully pleased with how Lily's stone turned out, but I can honestly say it is everything I ever dreamed it would be and more. It is perfect and I love it so much. Post by Hannah Rose Allen. 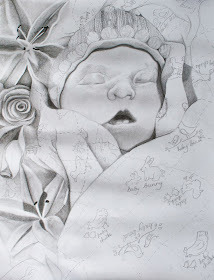 Click HERE for some ideas and inspiration for designing your own baby's headstone. I can feel your pain. it's never really easy to lose someone you love even after how many years have already passed, you will still feel the pain. It's good to know that you finally have Lily's headstone but yes, it's kind of a bittersweet feeling. It really is beautiful. Lily will love it too. Hi, I stumbled across your post while searching for ideas for my son's headstone. So sorry about your precious Lily. Your thoughtfulness regarding each aspect of her stone shows such love towards her and the Lord. It's wonderful.